On July 10, 2015 after months of anticipation, numerous ultrasounds, NST’s (non-stress tests, ironically! ), and not very many answers, our little angel Lucy was born. Instantly, she melted our hearts with her sweetness. 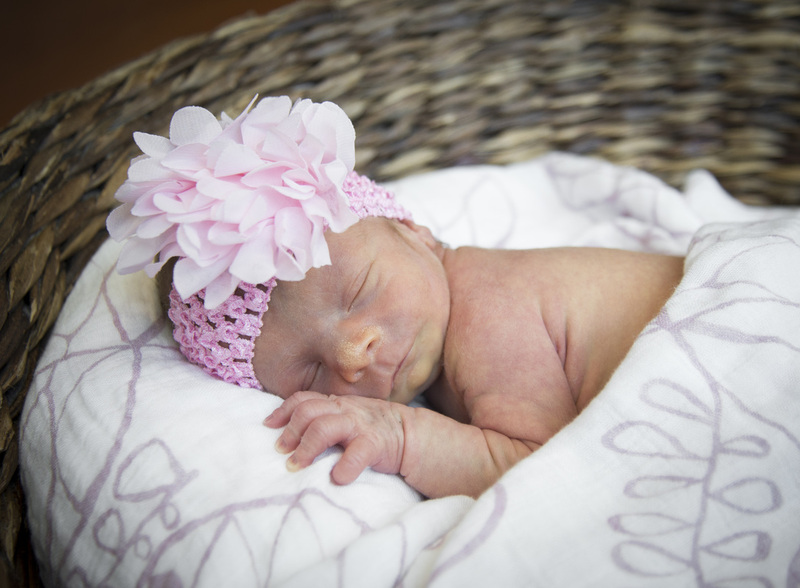 Lucy spent two weeks in the NICU where several health concerns arose. The most concerning conditions were an incomplete soft palate, making feeding a challenge, and lissencephaly. Lissencephaly literally means “smooth brain”. It results when brain cells don’t properly migrate during embryonic development, leaving the brain free from the normal folds. There is no cure for lissencephaly. We learned later on that Lucy's health problems were part of a genetic condition called Miller Dieker Syndrome, which is caused by a deletion on the 17th chromosome. Needless to say, our lives were forever changed on that dark day of Lucy's diagnosis. Our dreams seemed to shatter. All of our hopes for her and her sister’s future together were gone. We did our best to make the most of each moment of each day, trying to create as joyful a family experience as possible. ​Lucy’s smile was riveting, and she was definitely the happiest one in the house! 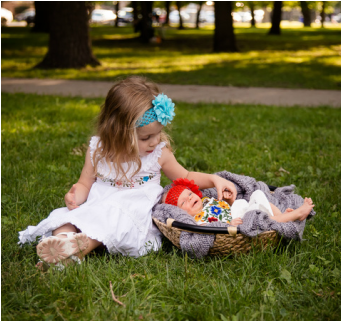 She absolutely loved her sister and would always perk up when she heard her voice or felt her touch. Lucy had this way about her, once you picked her up, you just couldn’t bring yourself to put her down. 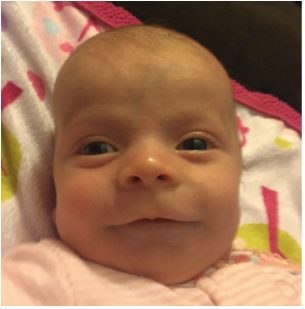 For nearly 5 months Lucy’s overall health was good, considering all of the challenges she faced. A few days after Thanksgiving, Lucy started experiencing apnea episodes, most likely due to seizures. Lucy passed away on December 12, 2015 at her home, surrounded by loved ones. Devastating, yes. However, we find peace in knowing that she is free of this world where the day to day was such a struggle. After all, life is tough enough as it is. Lucy was so tiny and so sweet and such a fighter! We’ve discovered many “Lessons from Lucy” already and will spend our lives honoring her by living those lessons.